Almost one in five (18%) working parents have deliberately slowed down their career progression as they have struggled to balance their working life with their responsibilities at home. According to the 2018 Modern Families Index, published by work-life charity Working Families and childcare provider Bright Horizons, parents are being pushed to “breaking point” by their employment, with many working more than their contracted hours because they feel it is expected of them. Of the parents contracted to work 35-36 hours per week, 40% claimed they were putting in extra hours. A third of those people said they were working an extra seven hours a week – the equivalent to an extra working day. Almost half (47%) of the 2,761 parents surveyed admitted that their work affected their ability to spend time with their family. To address this, 11% said they had refused a new job and 10% had rejected a promotion. 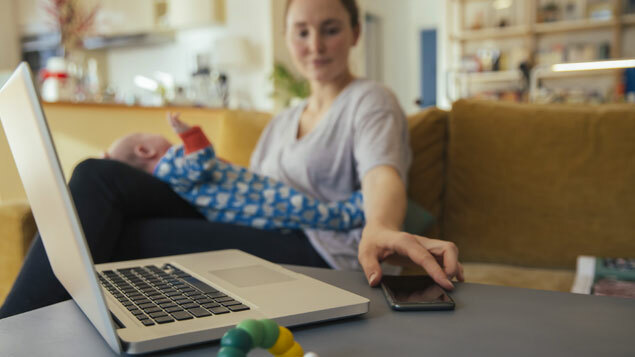 Sarah Jackson, chief executive of Working Families, said a more flexible approach to work that went beyond current flexible working arrangements was required to help parents improve their work/life balance. She said: “We need human-sized jobs that allow parents to fulfil their labour market potential and give families back the time together they need to thrive. This should be central to the Government’s forthcoming review of its right to request flexible working legislation. The survey found that 44% of working parents felt flexible working was a genuine option in their workplace. Among those with a flexible working arrangement, 37% said they still felt burnt out most of the time. David Clift, HR director at Totaljobs, suggested that “returnship” programmes, which support employees who return to the workplace after periods of leave such as maternity or paternity, could benefit parents. The study also urged the Government to consider more comprehensive, flexible and generous childcare options for working parents, and said employees should be offered parental leave rights from the first day of their employment. The Taylor Review of modern employment practices last year recommended that the Government consider whether individuals should be able to request temporary changes to contracts, for example for a particular caring requirement, during its review of right to request flexible working legislation in 2019.